Sharp Lines Old Times: Eye of the Collector. I also know several of the attending sellers at these fairs and while they’re all very professional, they understandably can't know everything about everything, so luckily it's still possible to make great finds. I even saw a dealer buying a large and rare vase by Danish sculptor Arno Malinowski at Royal Copenhagen for a mere $80. It's now for sale in his shop at $3700! in April 1932 showing his interpretation of the Biblical story 'Jonah and the Whale'. I must have bought at least around 30-40 vases and bowls at these fairs, most of which are already sold. Among my best purchases was a fantastic oxblood vase by the grandfather of Danish stoneware, Patrick Nordström, which I am yet to offer. Along followed great pieces by modern Danish studio ceramists like Gertrud & Myre Vasegaard, Richard Manz, Gutte Eriksen and Christian Poulsen. 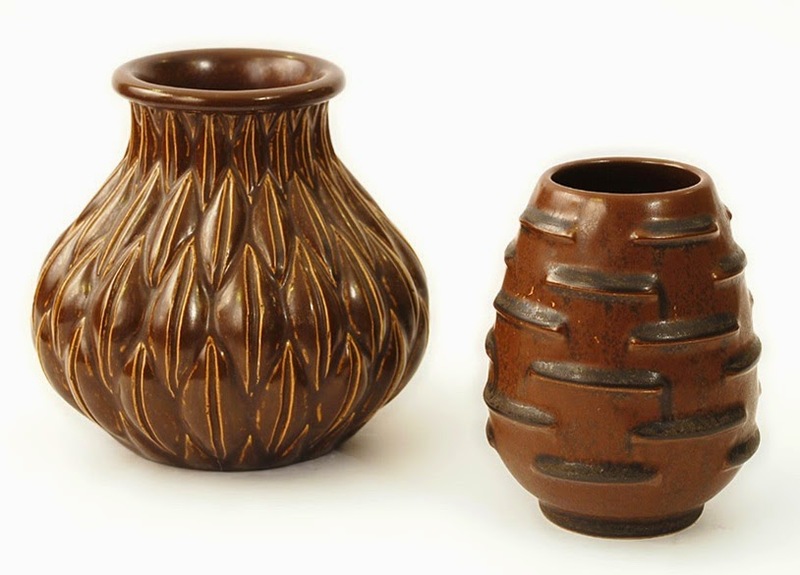 2 vases by Christian Poulsen from his time at Bing & Grøndahl (1941-46). He opened his own studio in the late 1940's to great aclaim. A very interesting surprise at the latest fair - and one that really raised the rate of my heartbeat - was meeting the grandchildren of Nils Thorsson (1898-1975). Thorsson was arguably one of the most important figures in modern Danish stoneware history being artistic director of both the fajance factory of Aluminia and Royal Copenhagen’s stoneware department through a total of 56 years! Thorsson’s grandchildren have recently begun selling parts of the large heritage that Thorsson left to their parents. 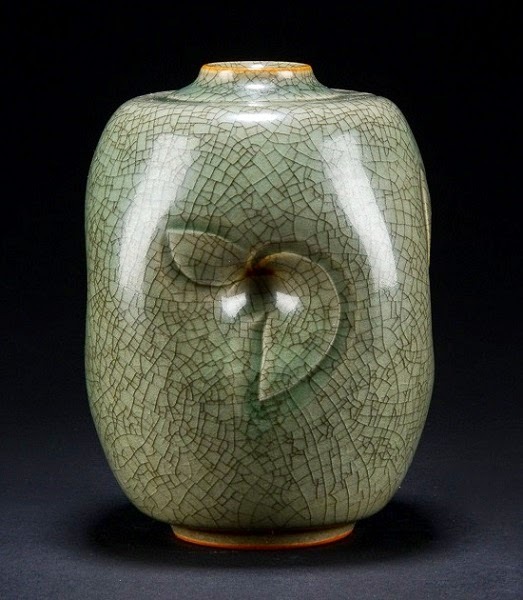 Besides keeping the very best pieces for themselves, Thorsson’s grandchildren had apparently invited at least 10 dealers within the last year to bid on Thorsson’s own collection of stoneware and fajance. The collection reportedly also contained several porcelain pieces from the desirable and madly expensive Flora Danica series. depicting much of the beautiful botanical fauna native to Denmark, Norway and partially Sweden. 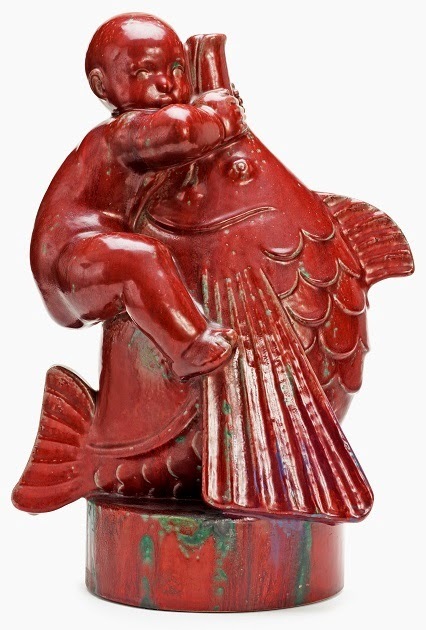 The highest bid was given by a dealer (and his business partner) who’s a avid collector of Thorsson himself and was supposedly around $27.000. However the grandchildren passed on the offer hoping to get more money by selling through Danish auction houses like Lauritz and Bruun Rasmussen. Much has been sold already and more should be on the way, though I somehow doubt this as the overall price level have probably disappointed the grandchildren by being too moderate. Yes, coming from Thorsson himself is truly a wonderful provenance but the majority of the many stoneware pieces were actually faulty. 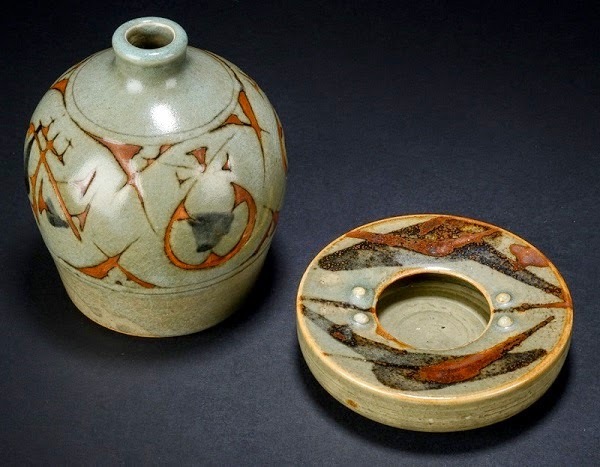 They were simply brought home by Thorsson as he could either get them for free or because they by mishap represented something interesting to him glaze-wise. Here are a few sold examples from Lauritz with their final bids incl. buyer's premium. 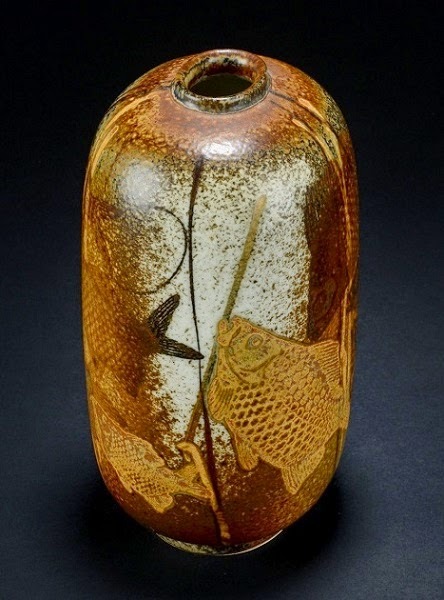 Unique vase (H20 cm) - sold at $285. 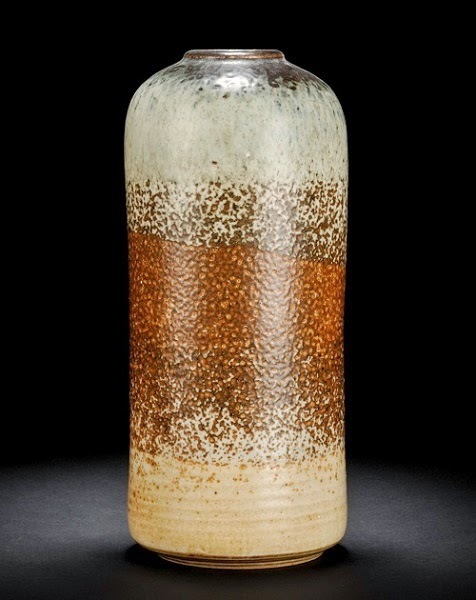 Unique vase (H19 cm) - sold at $1250. 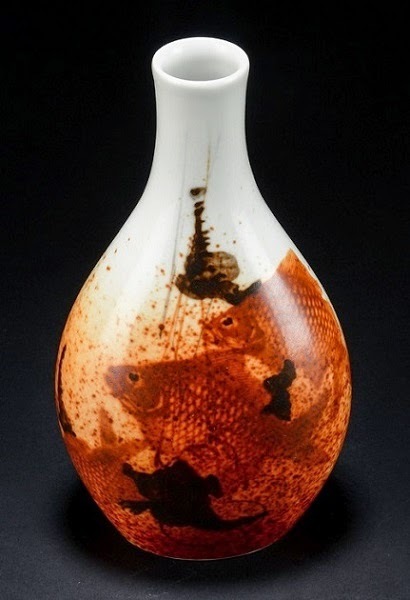 Unique vase (H14 cm) - sold at $580. Unique vase (H10.5 cm) and bowl - sold at $210. 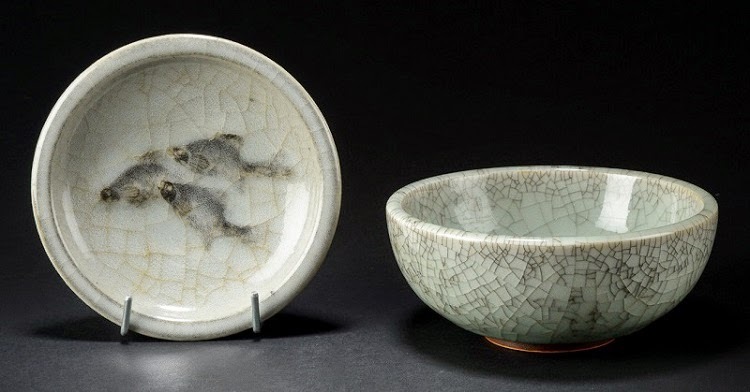 Two bowls with a crackle glaze that clearly shows Thorsson's fascination with old Chinese glazes. Despite their condition and moderate size (W13-14 cm), the end result was a surprising $3000! Now, the grandchildren were suddenly at this fair with a booth selling all sorts of stuff left behind by Thorsson and now their parents. As the word got out, it quickly resulted in quite a stampede of dealers and collectors. 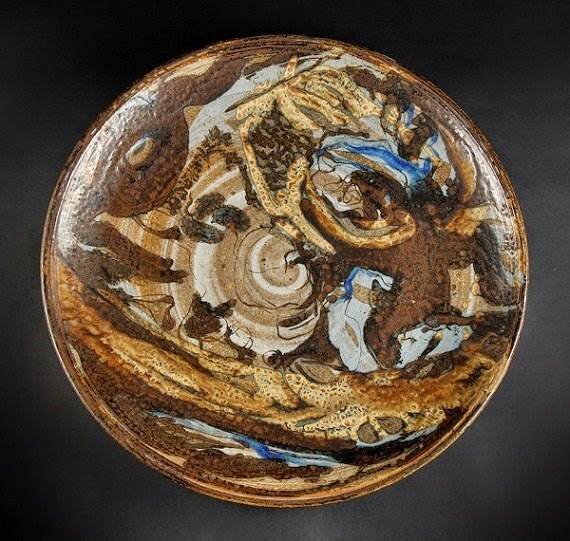 There were many stoneware bowls and tiles by Thorsson, but presumably just pieces rejected by the auction houses, as nearly everything was sadly damaged in some way. I didn’t buy anything but it was really fun going through all the boxes. Unique vase by Ivan Weiss for Royal Copenhagen (H28 cm). On a different note but not quite, Thorsson got a apprentice in 1966 by the name of Ivan Weiss. I have long admired the rough elegance of Weiss which clearly holds a Eastern influence gained by his years of visiting and training in Japan. While Googling to try finding something by Weiss for my collection, I found a seemingly old homepage of his. Not knowing whether Weiss was still alive or not, I took the chance and wrote him. Weiss surprisingly replied very quickly and kindly invited my to visit him at his old studio tomorrow. I am SO excited and look forward to see what he has in store and of course hear some great stories from his 41 years at Royal Copenhagen. 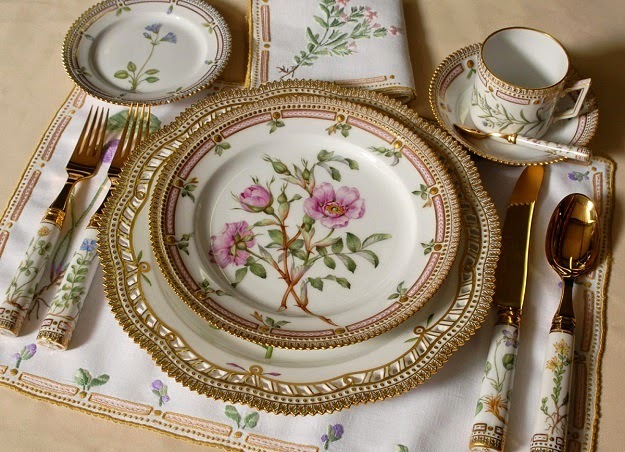 Unique centerpiece by Ivan Weiss for Royal Copenhagen (W62 cm). Personally, December is always a slow month sales wise with Christmas and all but instead, it will hopefully loosen up more time to fx this blog. 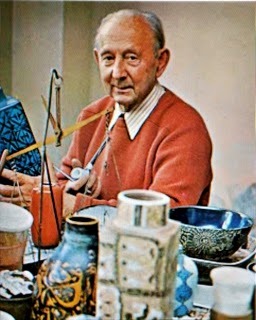 I am currently working on yet another post about a lesser known Danish furniture designer from the post war era. It has actually been in the pipeline for some time now. Though as with my previous post about Hans Olsen, it’s been unexpectedly hard to find both information and decent photos to complete the bio. So, combined with my vintage treasure hunting and other personal projects, it has taken much longer time to finish the post than I'd hoped would be the case. I will definitely do what I can to have it out before the Christmas holidays.